The new Golf looks similar to previous generations from the outside but the car has lots of fresh technology. Volkswagen aims to win new buyers for its latest Golf, not just from rival automakers but also from other VW Group brands. 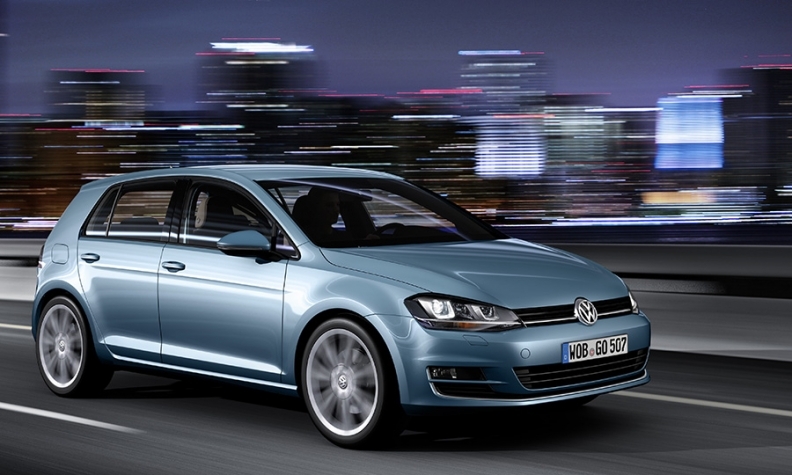 VW expects 30 percent to 40 percent of Golf customers in Europe to be new to the car. Those customers may be owners of the larger VW Passat who want to downsize or those who think the almost technically identical Audi A3 is too expensive. The Golf looks similar to its predecessors from the outside but the car has lots of fresh technology. All its engines are new and weigh less than the units they replace, contributing to weight savings of up to 100kg. Like the Audi A3, the seventh-generation Golf is underpinned by VW's new MQB platform, which will be extended to more than 40 models. Target buyers: VW seeks to retain traditional buyers but win customers who are downsizing from larger cars. New technology: Touchscreen infotainment system is standard; lots of safety technology including a system that applies the brakes if a collision is imminent and the driver doesn't react. What's good: Rear passenger space is good compared with rivals because of longer wheelbase; perceived quality has been improved; lighter and more fuel efficient. What's bad: Optional equipment is expensive.